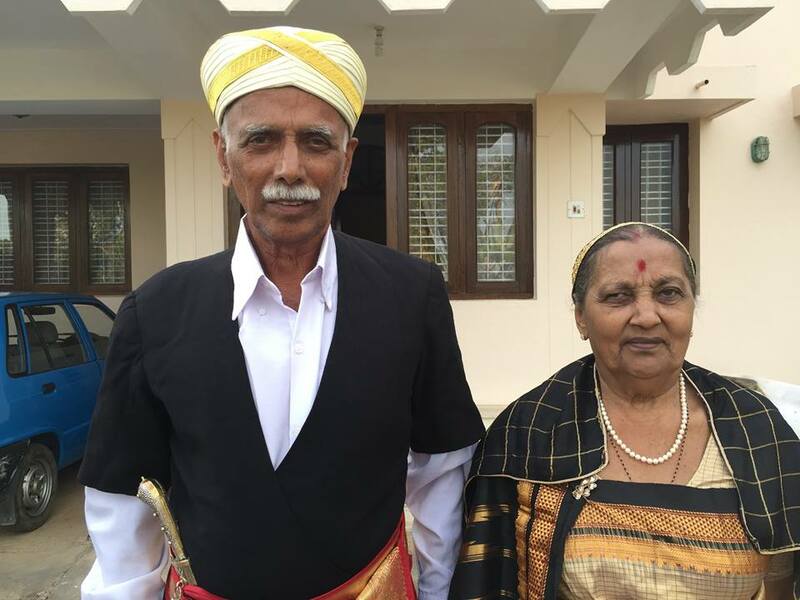 After 15 years of hard work and research, a Kodava couple has brought out a comprehensive dictionary in Kodava Takk (Kodava language). The project was conceived by Dr Boverianda C. Uthaiah (78) and was ably helped by his wife B.U. Thangamma (67). 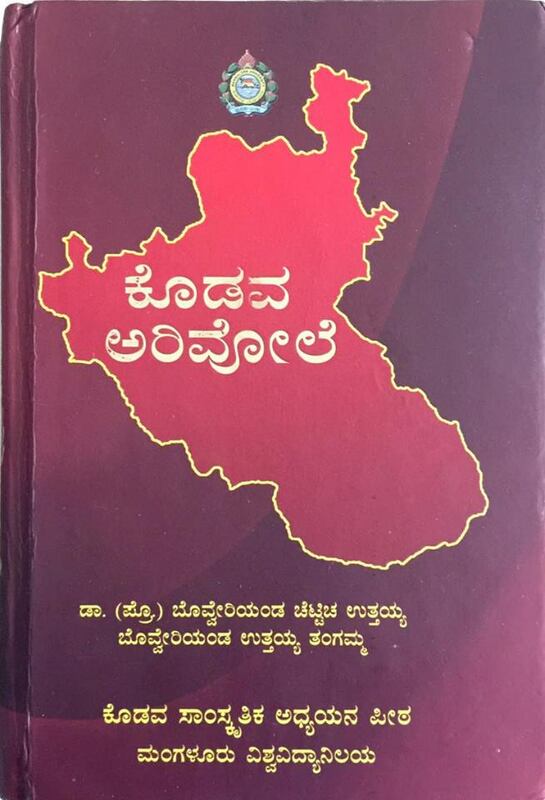 The ‘Kodava Arivole’ (dictionary) has been published by the Kodava Samskritika Adhyayana Peetha of the Mangalore University. Speaking to www.www.coorgnews.in, Dr Uthaiah said the Kodava-Kodava-Kannada-English dictionary has 13,000 words. The Koḍava Takk Arivole, with meanings provided in Koḍava takk, Kannaḍa and English, also contains diacritical marks to indicate their correct pronunciation. Dr Uthaiah, a former professor of agricultural sciences, said since he was not in a position to write due to age-related problems, he was assisted by his wife in the writing part of the work. It is learnt that Thangamma, born in Kolera family, helped in the inclusion of Kodava words from Kiggatnad in the dictionary. Among others who helped Dr. Uthaiah in the project, were Palanganda Mandappa and Bollachanda Kalappa, consultants for the dictionary, and Boverianda Chinnappa and Dr Nanjamma Chinnappa, who edited the dictionary. The administrative support was given by Dr Kodira Lokesh Monnappa, Co-ordinator of the Kodava Chair, Mangalore University. Though Kodava dictionaries had been brought out in the past, this is the first comprehensive dictionary. A Proud moment for Codava language and culture. The Codava Renaissance. Is this dictionary gives the meaning of Kodava words both in Kanada and English ? Where can I purchase it from and what is the cost? I am replying on behalf of my parents .. yes uncle it gives the meaning for Kodava word in Kannada and English … it will be available at Mangalore university and cost is Rs 500 .. Thank you Nisha, the proud daughter. I am looking forward to procure a copy. Can we get it in Bangalore? If so where? Or can a copy of it be couriered? Yes it’s really great news and they have done a great job. I hope this book helps Kannadigas learn Kodava Takk. When they can learn languages of other states or countries, why not this? A great contribution to our Mother tongue. I’m eager to get a copy, I’m sure it will open a new window to our Culture.